With the Hawks opening their season tonight, and the Bulls opening theirs at the end of the month, it's time for a little refresher on which bars will help get you to the United Center once you're done pre-gaming. 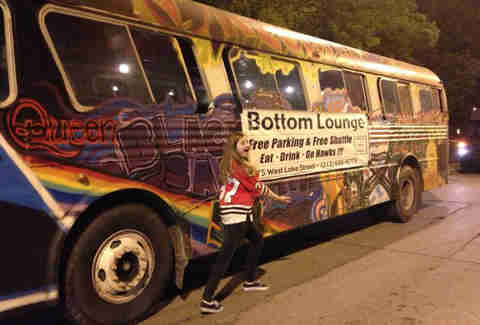 Here are 11 drinkeries offering shuttle service to Blackhawks and/or Bulls games. Say hi to Kaner for us. 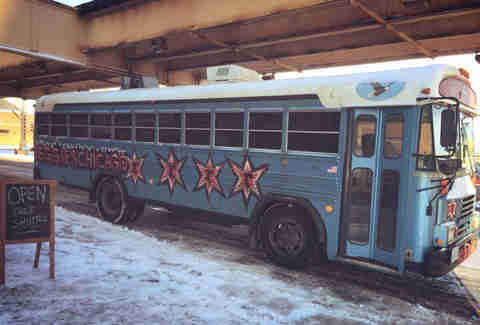 33 plasma TVs and shuttle service to all Blackhawks/Bulls games and United Center concerts. 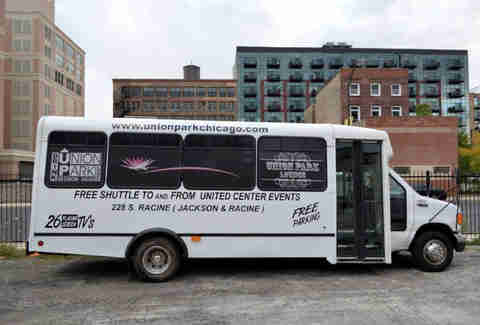 Seven TVs and shuttles to Hawks/Bulls games and most United Center concerts. Drop-offs begin one hour before the game, with pickups starting 15 minutes after the game. Five TVs plus a video projector upstairs and game day specials. Bus service to Madison/Wood begins one hour before the game. 28 TVs and shuttles to all games; service starts two hours before game time. 30+ TVs and two party buses to select Blackhawks games, departing 45 minutes and 15 minutes before the game with Haymarket beer on board. Picks up at Madison & Wood, and the driver gives you a card on the way there so you can text if you can’t find the bus after the game. 17 flat-screen TVs and two big-screen projectors. 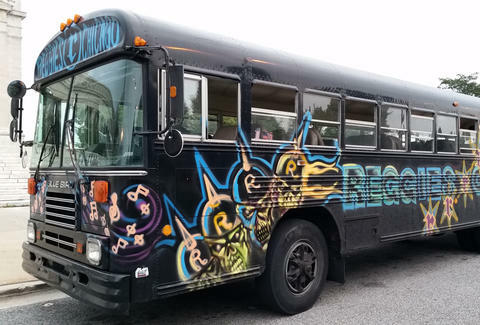 They've got service from the South Loop on the tripped-out "Rock Bus" (colorfully painted by local artist Terrance Curtis), departing 75 minutes before the game with pickup/drop-off at Madison & Wood. 15 TVs and shuttle service every 15 minutes to games starting one hour before game time, plus half-price appetizers after the game with ticket stub. 22 HDTVs and shuttle service from Little Italy to Hawks games starting one hour before puck drop. 26 plasma-screen TVs, NHL Center Ice package, and shuttle service to games starting 45 minutes before game time. Three TVs in the bar and shuttle service leaving about an hour before games. Four TVs in the bar and three in the rooftop lounge, with shuttle service to all concerts and sporting events. Jay Gentile is the publisher of Chicago INNERVIEW Magazine and a Thrillist contributor. Follow him on Twitter.